LED panel lights are an innovative and energy efficient light source, designed for both domestic and commercial use. Based on the LED technology, the lights have higher quality standards and longevity compared to appliances using halogen or fluorescent sources of light. The primary use of the LED panel lights is for illuminating ceilings, and have been predominantly used in commercial premises such as offices, retail shops, hotels and supermarkets. The panel lights come in different shapes. colors and sizes, making it suitable to any design and environment. A LED panel light is made of an acrylic sheet with embedded LED light chips, and the light is refracted outwards. Depending on how they are built, the panel lights come in different effects such as the Stripe LED panel lights and the Matrix LED panel lights. The LED light sheet is ultra slim, somewhere around half an inch, and can be easily cut and shaped to fit different environments and lightening purposes. The LED panel lights are user friendly and easy to install, as they can be suspended with wires or mounted onto ceiling grids. The main reason why LED panel lights are much more preferred in the market today, as opposed to other traditional light sources, is due to their energy and cost saving potential. On average, a LED light uses less than 24 Watts, depending on size, which is five to ten times lower than traditional fluorescent lights. The LED technology is based on a cold light source, where the energy is used to create further lightening instead of heating up. For this reason, the LED panels are five to ten times more efficient than other illuminating sources. In addition, each panel comes with a transformer and dimmer, making it convenient to adjust the light intensity accordingly. Size – The sizes range from 300×300 mm, 300×600 mm, 600×600 mm, 600×1200 mm among many others. Lifespan- A LED panel light has a lifespan of 40 000 – 70 000 hours, resulting into a cost effective and easy to maintain product for any household or business. Energy Usage – LED have a very low energy usage, between 20-30 Watts depending on size and type. 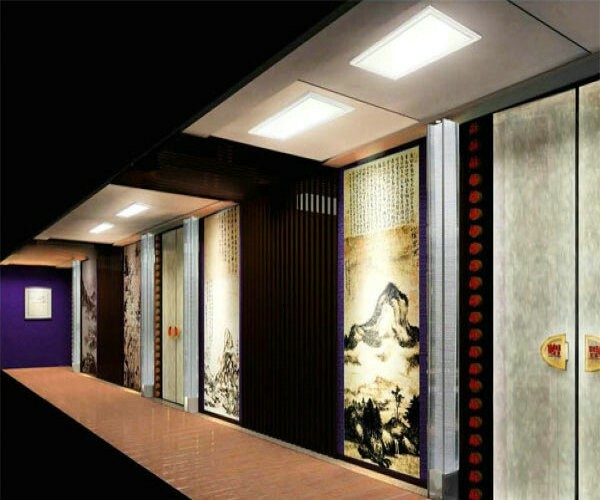 Light Color – the LED panels reflect an even blend lightening, with a natural incandescent effect. The panel lights are available at different color temperatures, as well as with RGB color changing LEDs. The primary reason why LED panel lights are chosen over halogen and incandescent illuminating sources is the energy saving potential. On average, LED lights consume 70% less than traditional light sources. This has a direct impact on the energy costs, bringing dramatic savings for both domestic and commercial users. However, the benefits of using LED light panels are far greater, including the prolonged life span, that lasts up to 70000 hours. In spite of the longevity, the light quality is preserved at a natural tone, free from ultraviolet radiation and infrared rays.